What Comes to Mind When You Hear the Phrase: Daddy Dearest? 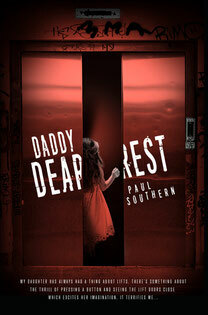 Paul Southern's Daddy Dearest is a story in which it feels like the author is talking directly to the reader. The story alternates between sharing an account of events pertaining to the daughter's abduction, and revealing aspects of the father's life, thoughts and feelings. Daddy Dearest is filled with shocking revelations and some of the events which unfolded were nothing short of heartbreaking. Though I sympathized with the father, my heart was with the daughter whose life would never be the same - though I didn't learn just how deeply her life would be affected until I read the last page of the story. I was drawn into the spell-binding web Southern created and the conclusion begs the question: was the father deserving of the title, Daddy Dearest, as bestowed upon him by his daughter? In his mind, he was doing the only thing he felt he could do for his daughter, but your mind may tell you differently. I can't remember ever reading a story quite like this one and recommend that you check out the story's page on Amazon. You might choose to embark upon the journey I've just finished - and what a journey Daddy Dearest was.